It just takes a couple of days of warmer weather and some steady sunshine and I’m off daydreaming. Daydreaming about things that will likely mean extra trips to my favorite home furnishing stores. 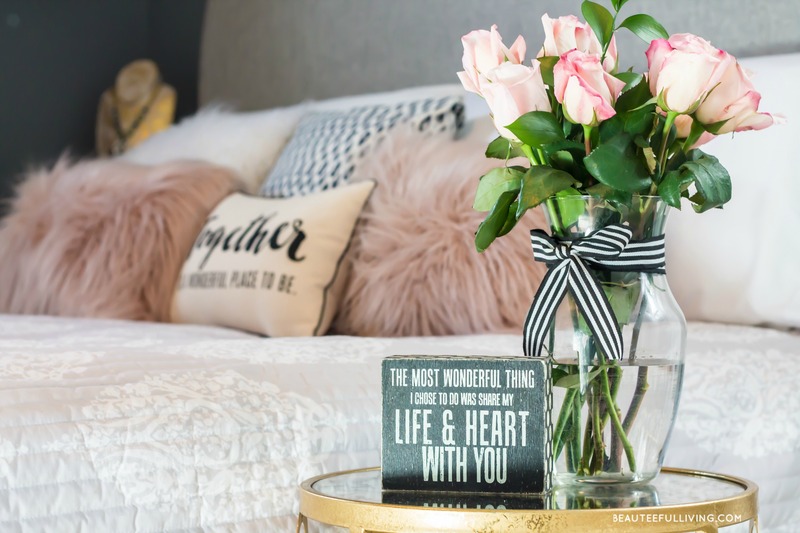 If you’ve been following along Beauteeful Living, you probably know that I suffer from bouts of decor fickle-itis. 😉 It doesn’t take long for me to itch to change things around in our home. I’ve noticed that oftentimes it’s the warmer months of spring and summer during which I buy the majority of my decor items. Not surprising since I’m drawn to bright colors and prints that are ever present during the warmer seasons. That said, I did a little “Spring Shopping Inspiration” exercise last week. I love these outings because it lends inspiration on how I may update the living areas in our home. 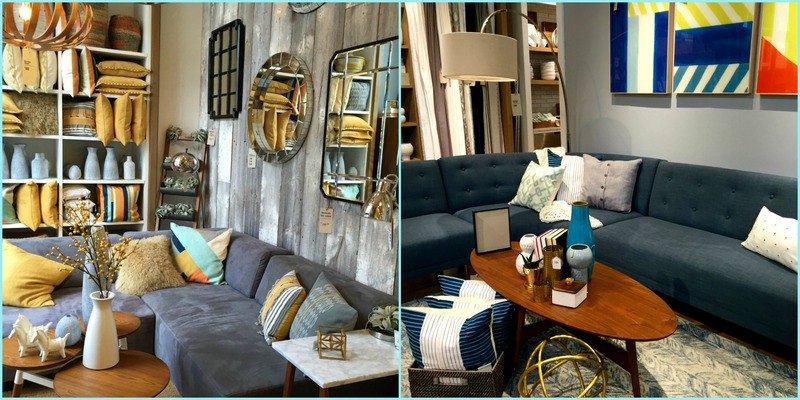 Enter West Elm…one of my favorite stores for home decor. Over the years, I’ve furnished our home with a number of things from there, ranging from textiles, lighting, and dishware. I love the quality of their products and more than anything else, I simply love their choice of color palettes. For instance, yellow and gray is one of my favorite color combinations. You can almost always find something yellow or gray or both in West Elm’s collections. Here are 2 photos I took from my recent visit. Left Photo: I just love the splashes of bright yellow against the gray elements. Right Photo: The bright artwork on the wall gives a pop of color that complements well with the dark blue sectional. With the warmer months ahead, I am definitely on the look out for outdoor accessories and furnishings. 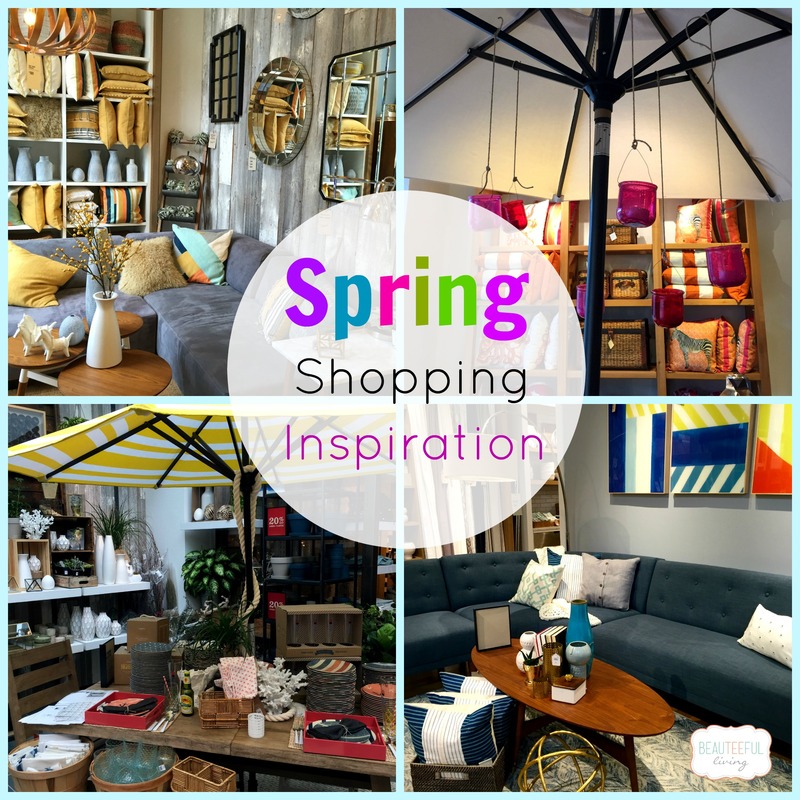 In my recent “Spring Shopping Inspiration” excursion, I took these photos from West Elm and Pottery Barn. 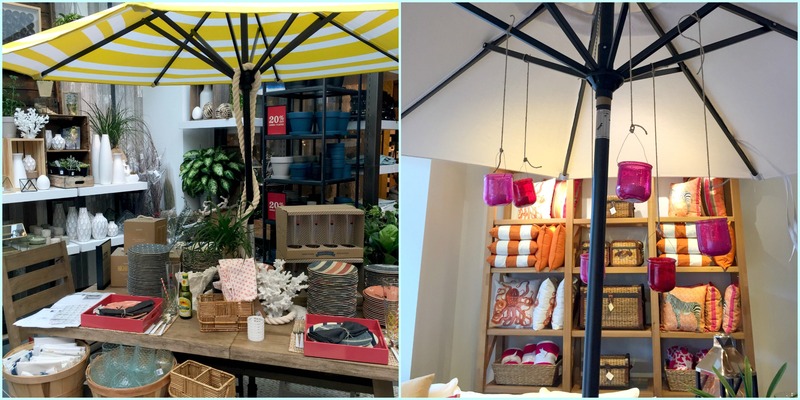 Left Photo: I love this yellow & white patio umbrella from West Elm. Check out the pretty white vases in the background. I can envision freshly cut blooms from our garden fitting nicely in those vases. I’m pretty sure I will be doing more of these “Spring Shopping Inspiration” outings in the weeks ahead. So, my lovely readers, be prepared for some shopping posts heading your way during these warmer months. Have you done any shopping trips for inspiration lately? Looking for anything specific? Like these shopping-related posts? I’d love to hear your thoughts. As always, thanks for reading! Xo, Tee. I adore all those coral-colored pillows behind the pink candle holders! I love the use of yellow accents with the gray! Such a nice look. Love the color palette for Spring 2015! Can’t wait to do some shopping! I can’t wait to do more shopping too. Have fun when you go, Jane :). Loving the distressed pallet wall in the top right photo! Great back drop for any focal point. I agree, Kelly. Thanks for stopping by.